Hey Baby Boomers! How about a 2nd Career as a Charter Bus Driver? According to Investopedia, Baby Boomers, born between 1946 and 1964, are heading into retirement in droves (about 10,000 a day, in fact). But what does retirement mean anymore? How many of you have celebrated the retirement of a friend, relative or coworker just to find out they have gone back to work? We can retire from one career and start another in a very smooth fashion. Here at Starr we hire lots of retirees on staff as Bus Drivers. We have retired Police Officers, Teachers, Firefighters, and many Veterans. Driving a charter bus offers a lot of the perks that workers facing retirement seem to desire, such as flexible hours, a change of pace and scenery, and the opportunity to learn new skills. Folks who have held sedentary jobs often enjoy being “on the move” for a change; workers tied to one locale during their career may appreciate visiting new places; those who’ve worked alone—like accountants, lab technicians, or computer programmers—may enjoy the opportunity to meet and converse with many new people every trip. Everyone knows Americans are living longer than ever so that means our ideas around retirement and needs going into retirement are changing. Although the U.S. Census Bureau data shows that the average retirement age in the United States is about age 63, many don’t retire until Age 70. And then there are those in good health, like Starr’s owner Alan Glickman, who are 75 and still going strong! The longer we work, the easier it is to afford a comfortable retirement. Longer lives and rising health care costs have made retirement more expensive at the same time that stagnant wages and the decline of the traditional pension have made it harder to save enough. Putting off retirement until later can mean less worry once you get there. Then you can relax and truly enjoy your golden years. Bloomberg tells us that U.S. seniors are employed at the highest rates in 55 years which means that more and more Americans are spending their golden years on the job due to a number of factors. Many are healthier and living longer than previous generations. Some need the income, while others decide not to fully retire because they enjoy their jobs or just want to stay active. While age discrimination is a very real consideration for older job seekers, a few gray hairs can actually be a plus for aspiring bus drivers. Passengers might equate age with experience, authority, and sound judgment and they would be right. A little life experience can go a long way on the open road. For a generation pondering how to transition into the next phase of life, a stint as a bus driver might be the ticket. 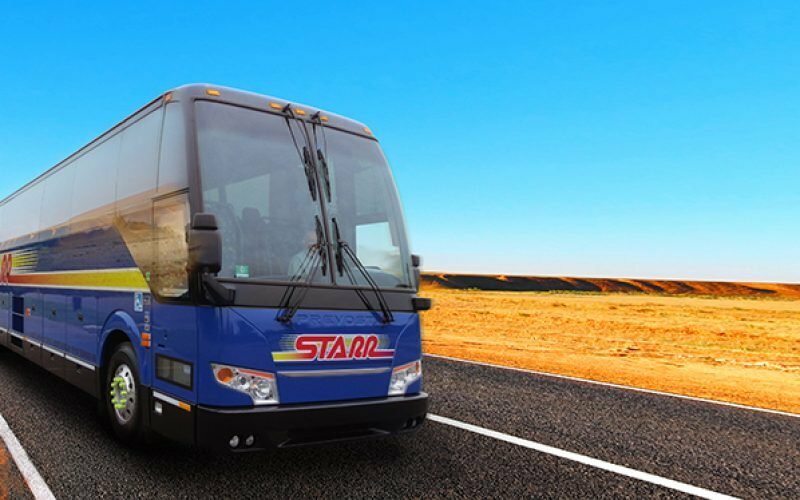 Starr makes the transition into a new career as a motorcoach operator as easy as possible. First, we offer a full scholarship to qualified candidates to help get you the necessary CDL license you’ll need to operate one of our buses. Next, we offer a flexible schedule, premiere medical benefits, and full and part time options. Oh, and we also offer a $10,000 hiring bonus for full time drivers, and $2,500 for part time drivers, just to sweeten the deal even further. Our drivers travel up and down the east coast and as far west as Michigan, Kentucky, Louisiana, and Tennessee. You work as a team with knowledgeable Tour Directors, and get to know many of our amazing passengers and groups – many of which have been traveling with Starr for years! If the idea of being paid to travel, see our great country, and meet some great people interests you, why not consider turning your retirement into an adventure and join our team? We’d love to have you! Everyone seems to brighten at the sight and smell of flowers. With the dark winter months and the chilly cold air, there is nothing like a nice batch of springtime to make winter go by much faster. Take a bus trip to the Philadelphia Flower Show, where you can wander through gorgeous gardens during the time of year when you need it the most. Whether you are a gardening fanatic, or don’t have a green thumb in your body, anyone can appreciate the wonder of the Philadelphia Flower Show! Even for those who can’t tell a sunflower from a succulent, the show is the perfect way for people to escape the dreary cold weather outside and immerse themselves in a wonderland of flowers and gardening. The Philadelphia Flower Show was started in 1829 by the Pennsylvania Horticultural Society. In fact, it is the world’s longest running and largest indoor flower show! Every year, the show wows audiences with the newest plant varieties, gorgeous garden and design concepts, as well as organic and sustainable practices. 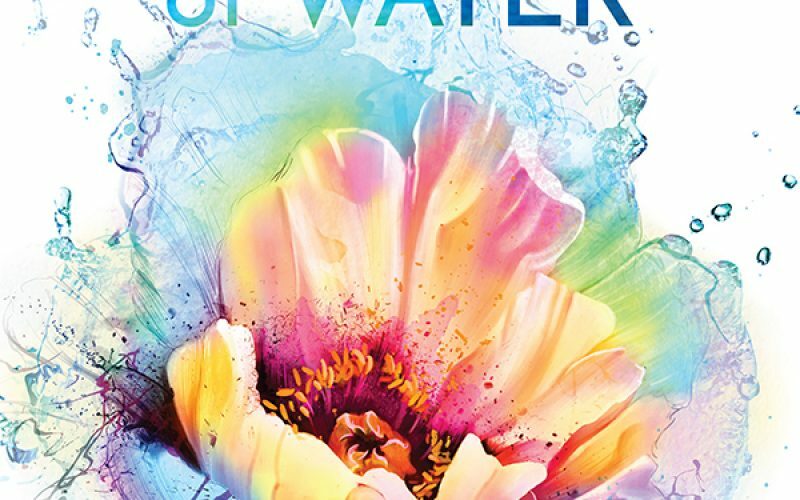 This year The Flower Show will celebrate the beauty and life-sustaining interplay of horticulture and water with the theme “Wonders of Water.” “America’s leading floral and garden designers will create tropical jungles, temperate forests, native woodlands and arid landscapes, showcasing the astounding plants that thrive in each environment, from exquisite orchids and flowering vines to luminescent desert blooms.” Each year, horticulturalists from around the world compete in world-renowned competitions in horticulture and artistic floral arranging, gardening presentations, and demonstrations centered around the chosen theme. The competition is fierce, and the Flower Show judges have a nearly impossible job: selecting which exhibits are most deserving of a blue ribbon! The judges pay attention to quality of design, horticulture, plantsmanship, visitor experience, and many other uniquely demonstrated qualities. Who knows? Maybe on your trip you’ll spot a winner! The Philadelphia Flower Show is held annually at the Philadelphia Convention Center and is a beloved tradition that attracts 250,000 visitors from around the world each year! 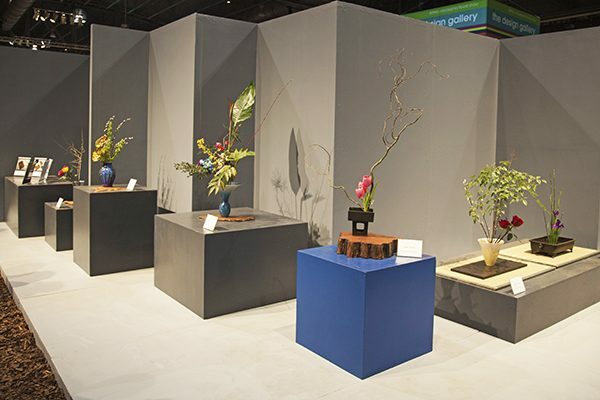 With all of this fame comes a great amount of responsibility; before the end of the flower show, horticulturalists are already tending to flowers that will be next year’s potential stars. Then, designers and artists spend the year collaborating and designing the eye-catching displays that will fill the Convention Center with color at next year’s show. 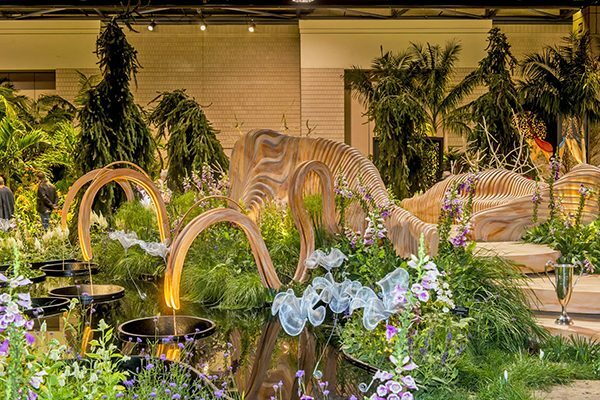 Years of dedication and hard work have earned The Philadelphia Flower Show the honor of being named the best event in the world by the International Festivals & Events Association. The Philadelphia Flower Show is a wonderful and “must see” horticultural experience and Starr makes it easy for you to get there! Take a trip on one of our luxury coaches and walk through rows of roses and promenades of peonies as you escape the cold to a wonderland of flowers. It’s the perfect fix for those with spring fever, and is great to hold you over until you sprout up seedlings of your own. After you’ve basked in the colorful glory, you’ll stop for a delicious dinner at Aldo Lamberti’s Positano Coast before sitting back to relax on your way home. The only thing you’ll have to think about are the amazing displays you’ve just seen! Take in the Philadelphia Flower Show with Starr, and book your tickets now! 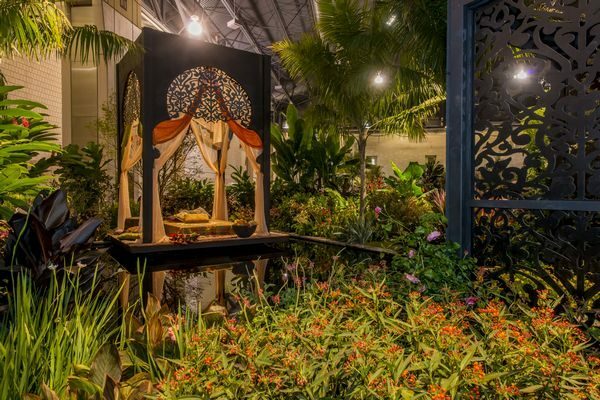 Have you experienced the Philadelphia Flower Show? What are your favorite memories? Get Ready For An Overnight in The City That Never Sleeps! Drive for Starr - HIRING BONUS! © 2018 Starr Transit Inc. All Rights Reserved. Signup to Receive Special Offers Today!